Redmi Note 6 Pro supposed Geekbench listing reveals Qualcomm Snapdragon 636 SoC, 4GB RAM and Android Oreo OS. The device is expected to have a notched display. Xiaomi Redmi Note 6 Pro has reportedly appeared on the cross-platform benchmark tool, Geekbench. The Geekbench listing of the device spotted by MySmartPrice reveals a few hardware-related details. As per the listing, Redmi Note 6 Pro could come with Qualcomm’s Snapdragon 636 processor. The listing also reveals a 4GB RAM version the device. Redmi Note 6 Pro will likely run Android 8.1 Oreo OS. As per the performance test, the supposed Redmi Note 6 Pro scored 1,332 in single-core score test and 4,675 in the multi-core test. These scores are quite in line with Redmi Note 5 Pro’s Geekbench results. While the supposed Redmi Note 6 Pro Geekbench listing showcases a 4GB RAM version, popular tipster Roland Quandt last month revealed that the phone will come in two RAM/storage configurations- 3GB RAM/32GB storage and 4GB RAM/64GB storage. Quandt claimed that the device could be priced between EUR 200-250 (around Rs 16,500 and Rs 20,600) for European markets, while it will be cheaper in other markets. 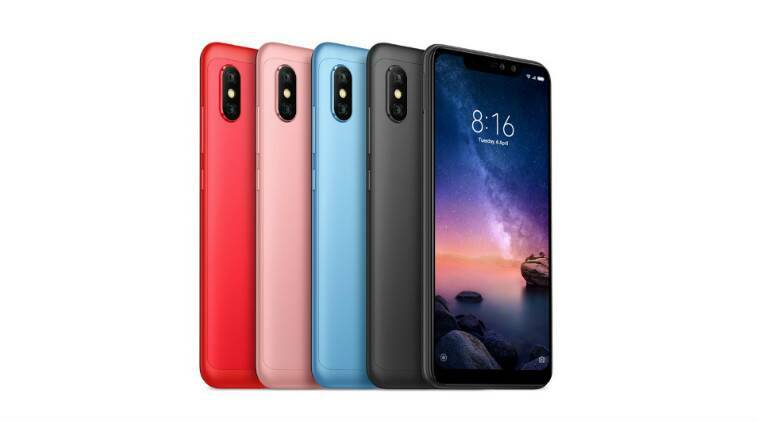 As for the specifications, reports suggest that Redmi Note 6 Pro could feature a 6.26-inch full-HD+ AMOLED display with 19:9 aspect ratio and notch on top. The phone is tipped to sport a metal body design and rear mounted fingerprint sensor. Leaked live images of the purported Redmi Note 6 Pro that appeared on Reddit reveal a dual camera setup up front with a 20MP primary sensor and a 2MP secondary sensor. As for the rear camera sensor, reports indicate the upcoming Redmi phone to likely house a 12MP primary lens and a 5MP secondary lens with 1.4µm pixel size and dual pixel autofocus. Redmi Note 6 Pro is expected to pack a 4,000mAh battery and run MIUI 9 based Android Oreo OS. 2 OnePlus 6T live images leaked online, but are these really pictures of the device?